Coffrage Alliance: Proud to have contributed to building the Quebec of today! Coffrage Alliance has built its expertise since 1970. Renowned for the flexibility and creativity of its innovative implementation solutions, the Alliance team is proud to have contributed to building the Quebec of today, from the arena at the Centre Claude-Robillard to the CHUM (Centre hospitalier de l'Université de Montréal). Having always been on top of the needs of the market, Alliance introduces innovative methods and practices to the industry that become standards and/or requirements a few years later. 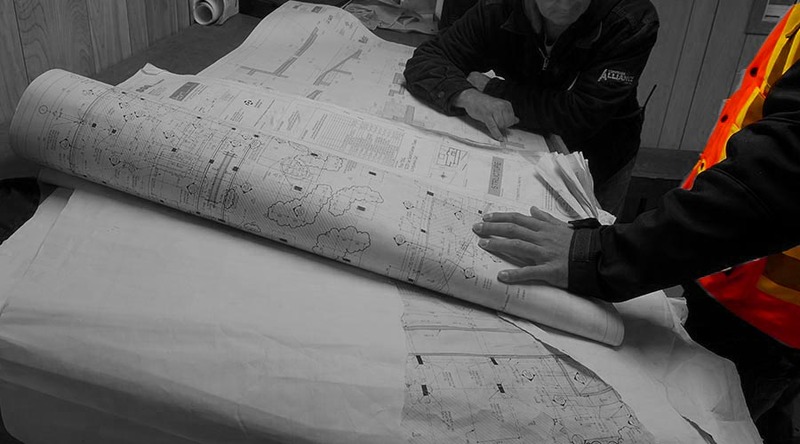 Proud to have been pioneers in the industry when it comes to employing full-time surveyors. Proud to have innovated by entrusting project management to engineers and proud to have built our business model on this approach, unique on the market. Proud precursors of innovation in complex and bold projects. Always on top of projects such as metro stations in Laval, PPP projects (NA30 / MUHC / CHUM, etc.) and others such as the use of new systems like BubbleDeck, etc. Proud to have access to a wide range of qualified resources and a fleet of equipment unparalleled on the market for both range and diversity. 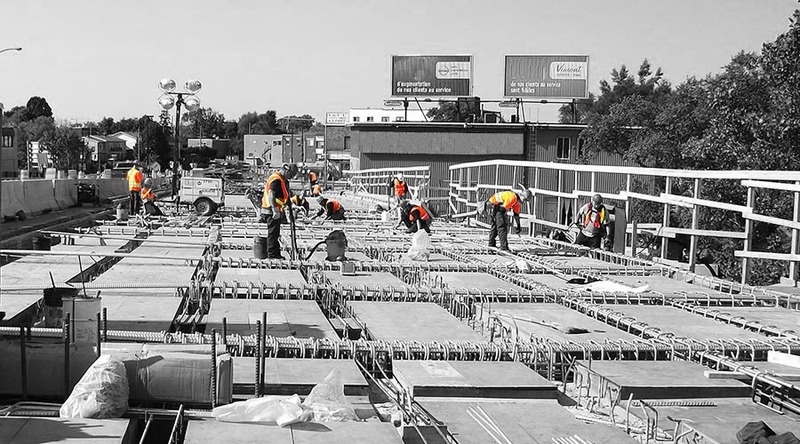 It's because of the professionalism and dynamism of the team that we measure the company's know-how and efficiency, executing millions of square footage of formwork each year. Its concern for safety, quality and respect for schedules, paired to its efficient execution of work, allows Alliance to be a leader in the industry. National Bronze and Regional (Laval) Winner at the 2017 Grands Prix SST, for our improvement of the Automatic Climbing System which eliminate falls from height. Regional (Laval) Winner at the 2015 Grands Prix SST, for our Flying Formwork Stabilizer which improves security for work teams working at heights or on the ground. The Alliance team is a big family made up of hundreds of devoted team members moving forward together to build the future. This approach allows for sharing between mentors and successors in terms of know-how, experience, ideas, and creative innovations. This intergenerational synergy has forged Alliance's reputation, having always made the choice to invest in the future by training tomorrow's leaders, in each trade and each department. Taking root in the founders' values, communication between each department and team is focused on sharing, creativity and openness towards the development of innovation. Rooted since 1970, this big family has strong foundations that measure up to its ambition and passion.